After a morning shooting some aerials of downtown Austin, Texas, I was preparing to leave town when I couldn’t help but stop and take a few more images from my land based camera. 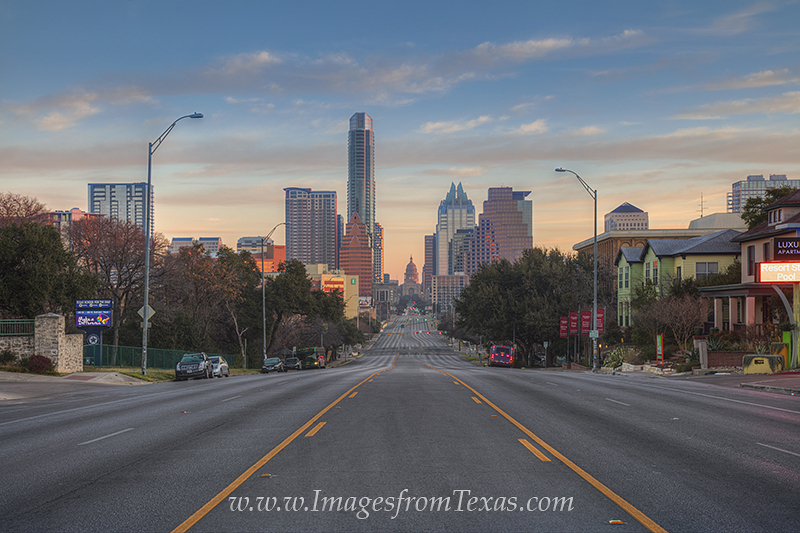 In this skyline photograph, the Texas Capitol is at the end of South Congress Avenue. Rising into the cold morning sky are the iconic Austonian and Frost Tower. After a morning shooting some aerials of downtown Austin, Texas, I was preparing to leave town when I couldn’t help but stop and take a few more images from my land based camera. In this skyline photograph, the Texas Capitol is at the end of South Congress Avenue. Rising into the cold morning sky are the iconic Austonian and Frost Tower. Photo © copyright by Rob Greebon.